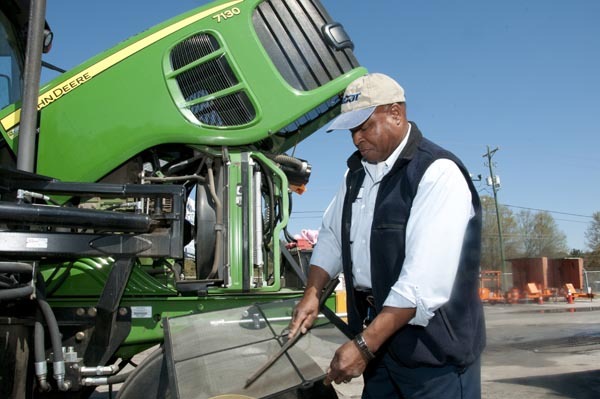 Albert Groves operates a backhoe for SCDOT’s Anderson Maintenance unit. 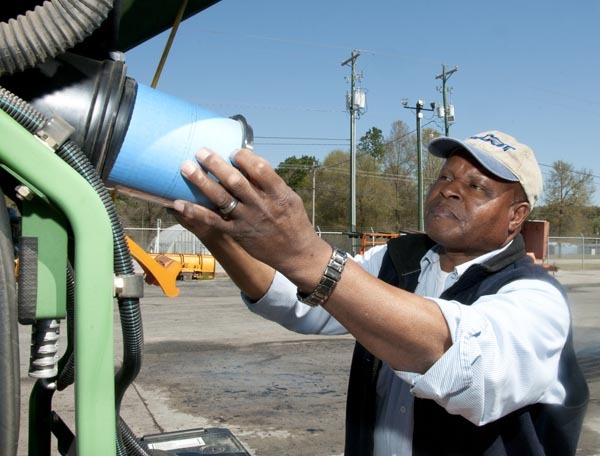 He is a ‘behind-the-scenes’ kind of employee that does so much for highway maintenance without a lot of recognition. 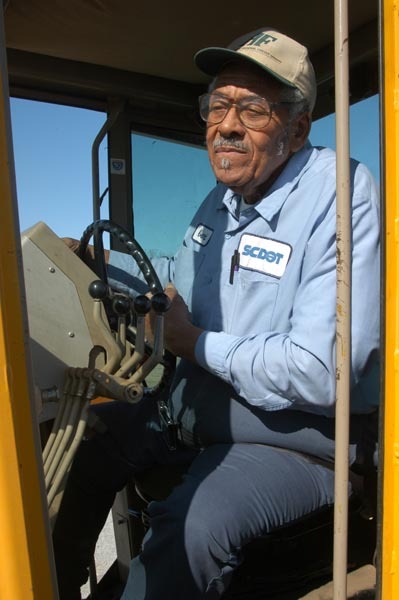 Motor grader operators clear snow, level highway shoulders and help make roadways safer for the public. 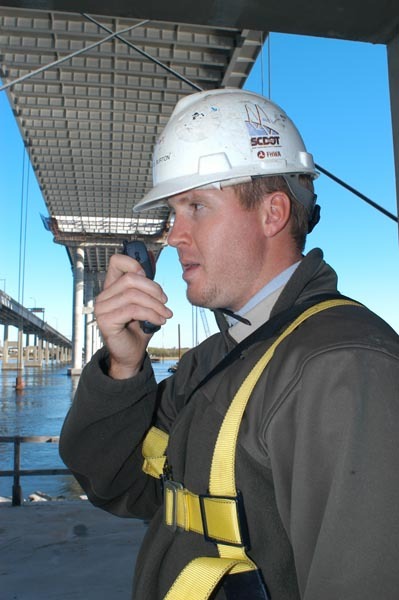 Project Engineer Daniel Burton inspects work on the construction of the new Cooper River Bridge in Charleston, SC, on Dec. 3, 2003. Burton’s job on the project was make sure everything was constructed according to the approved drawings and in conformance with SCDOT specifications. 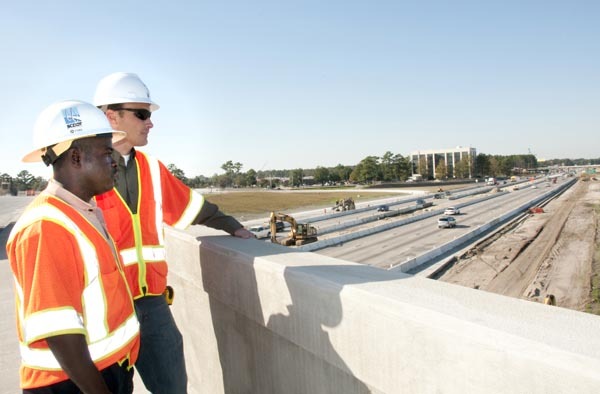 Rickie Green of SCDOT’s Charleston Contruction B Office, left, and HDR Project Manager David Wertz supervise the construction work on Interstate 26 in North Charleston, SC. 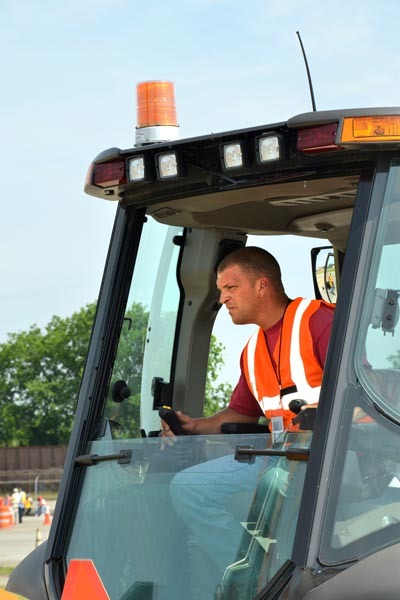 Backhoe Operator Shane Williamson shows his backhoe skills during SCDOT’s 2013 Equipment Operators’ Safety and Training Conference on May 16, 2013, at the SCDOT Supply and Equipment facility located on Shop Road in Columbia.